A blog devoted to those of us crazy enough to teach in the middle. 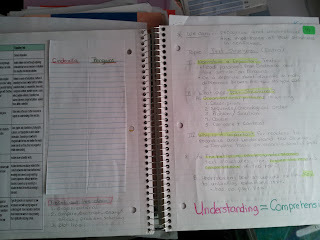 I researched all summer for ways to incorporate the interactive student notebook into my language arts curriculum. Those of you who teach this subject can understand what a beast it can be. 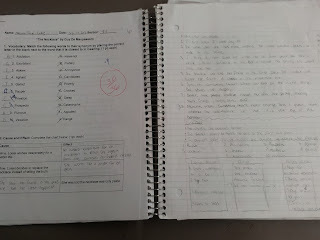 I teach grades 7, 8, and 9 and it hasn't been as difficult as I thought it would be. I think the hardest part has been the page numbering! My kids were always off and it became very frustrating for them and me. About four weeks in, I had almost given up with the page numbering and just told them to go to the next double page spread. I still am not sure how it happened, but for the last three weeks when I give my page number we are all together. Very strange indeed. 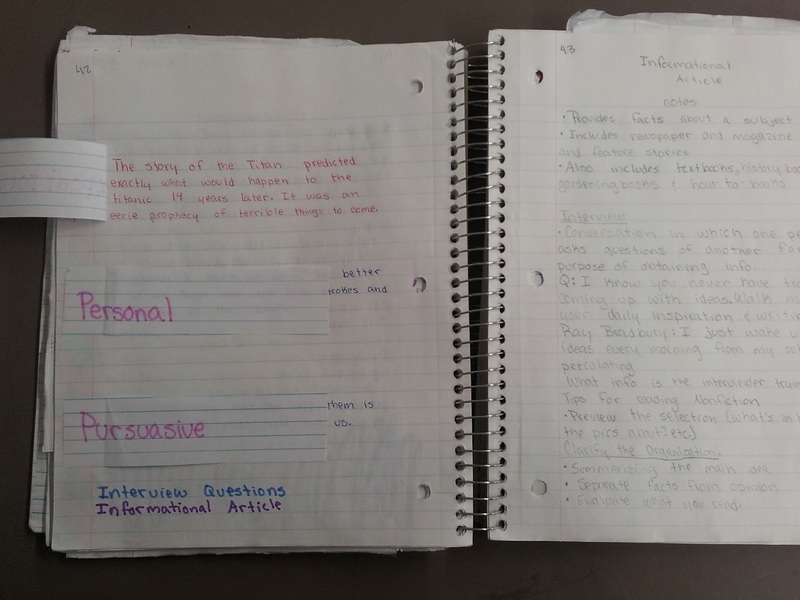 My kids are using five subject notebooks and I am using the last section for journaling, daily grammar practice, and other bellwork. 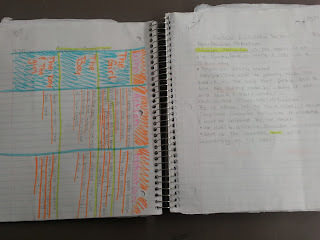 Once we got going, I realized that we have several days that we don't use the notebook so I think a section per quarter is going to be plenty. I have posted some of my bell work activities on the interactive whiteboard activities page. 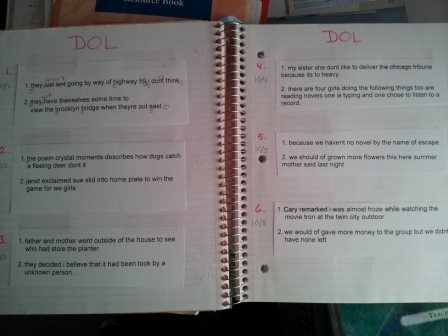 I have started printing out my DOL sentences and cutting them into strips. I hand them out as the student enters the room. They use editing marks on the strip and tape it in so that it flips up. Then they write the sentence correctly under the flap. This has been going real well and seems to take up less class time. 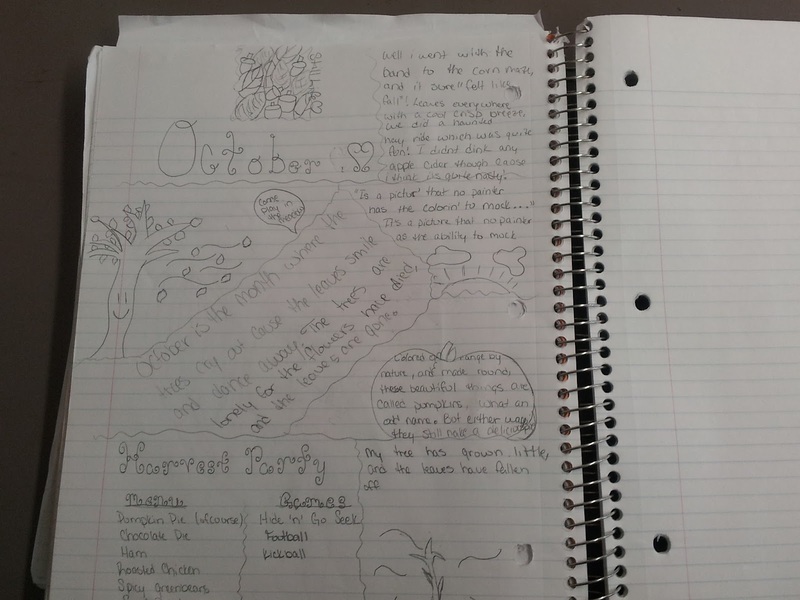 My Freshmen are using monthly journaliing pages that I found on pinterest. 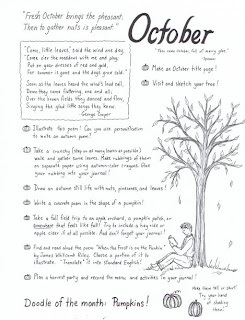 I simply give them the page and check for completeness at the end of the month. 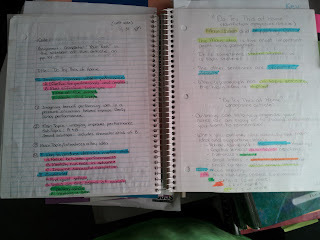 I used to give them a prompt everyday and make them write it, date it, and write a half page response. 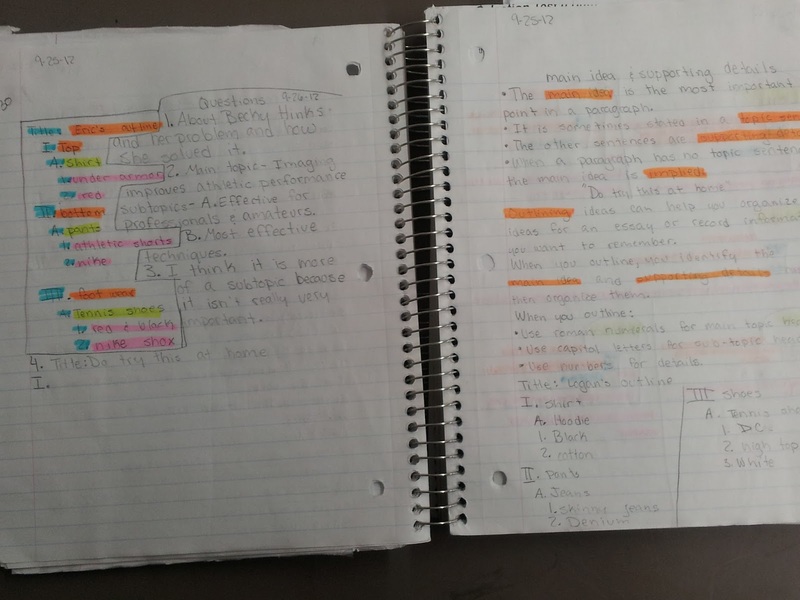 With these I set no requirements, which threw them at first, but I simply explained that it was their journal and to do what they thought needed to be done. I could tell they thought I had lost my mind, and I wasn't sure how this would turn out. 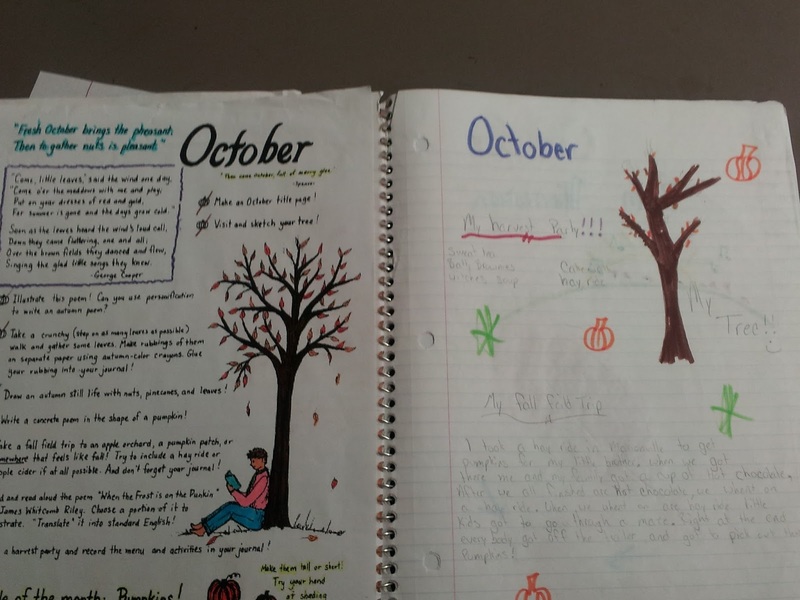 .When I went to grade them I couldn't believe how much work my kids had put in to their journal pages! 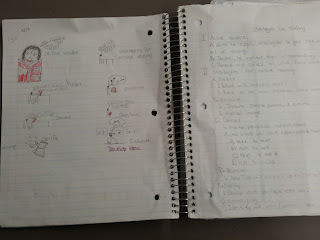 Full pages of poetry, illustrations, recipes, stories, etc.... Giving up control and letting them take over has been one of the best things I have ever done. 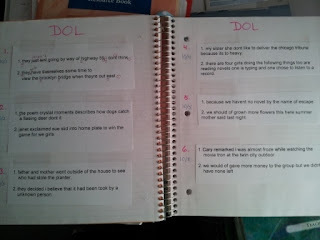 The journal pages can be found below and on my Pinterest page. I did not write these and don't know who did or I would definitely give them the credit they deserve. They so are awesome! 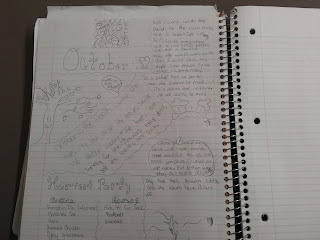 Here are some pages from my notebook. Students look at my book a lot so I don't have any answers in them. I have put in a few keys but only after we have taken the test. The stickers in the upper right corner a reminder that I have a whiteboard lesson for it. 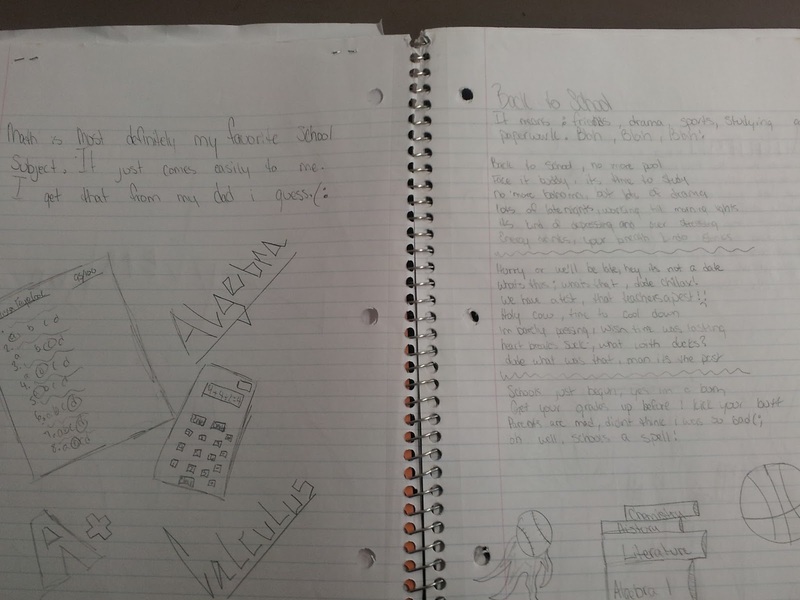 Left: Students wrote an autobiographical paragraph about themselves and a biographical paragraph about a class \mate. 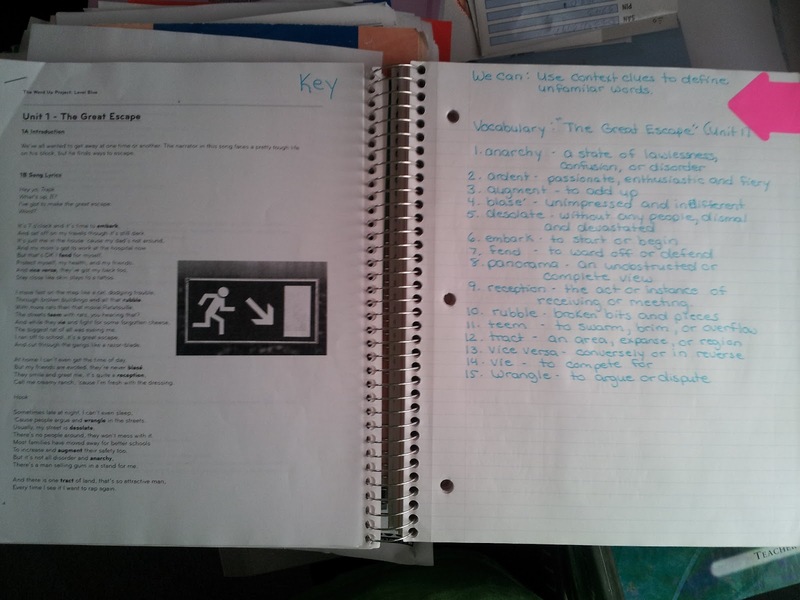 Left: quiz over the elements of fiction. This page flips up and students write the corrections for any answer that they missed. This will come in handy when preparing for finals. Right: Reviewed the various genres. 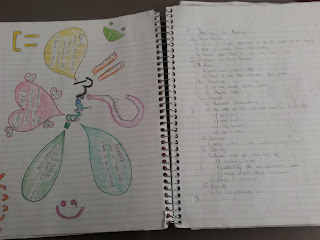 Also used a group activity from "The Middle School Mouth" that was excellent! 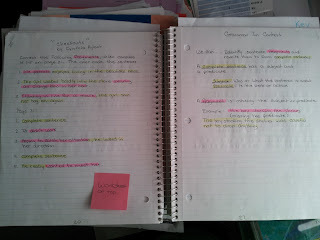 I wrote a note on the top of the page to remind me next year! I also got the PowerPoint that goes with it. 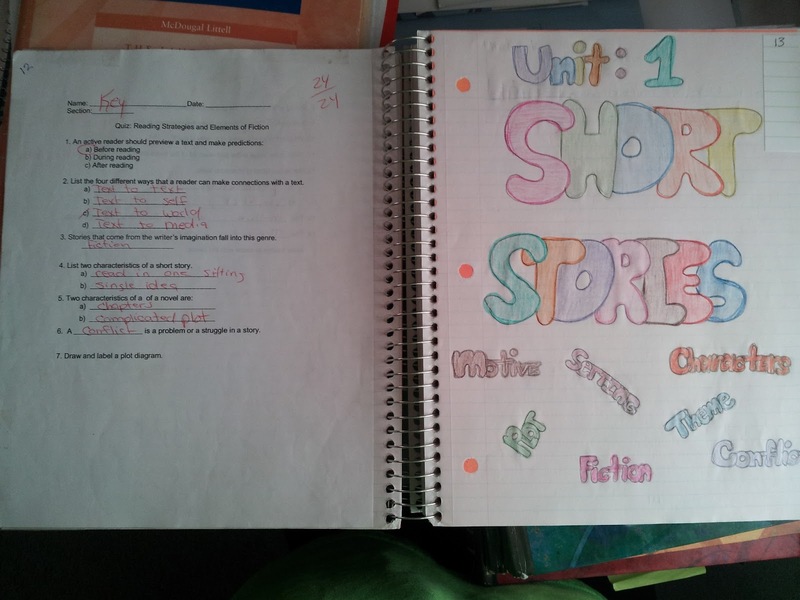 I highly recommend this lesson form TPT!! 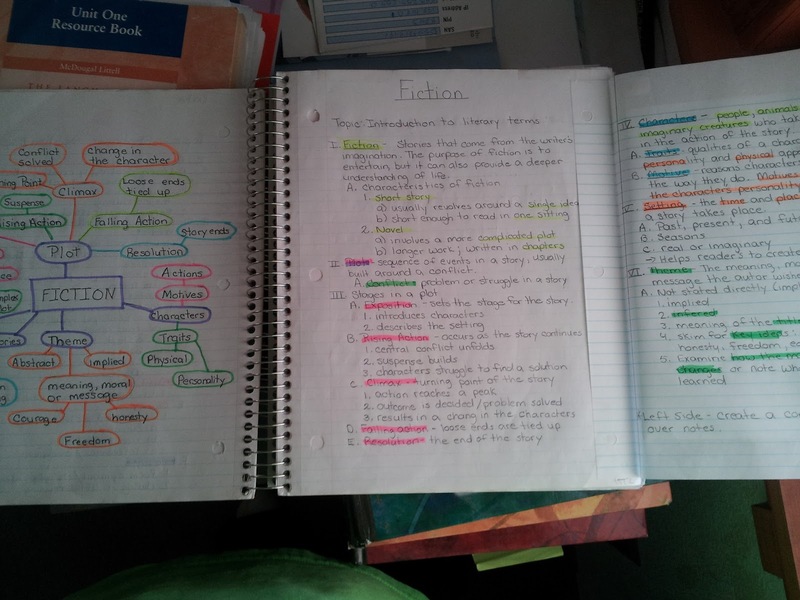 Left: They had to find or create book cover that they have read that fall in each category. This was a vocabulary lesson. I used this foldable that I found on Pinterest and added that they write a sentence for each word using a synonym as a context clue. This was a cause and effect lesson. 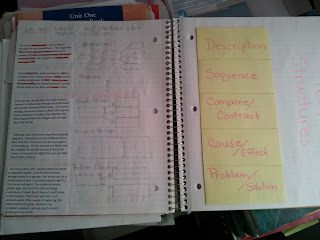 They took notes about cause and effect and how it can be a chain reaction in a story. 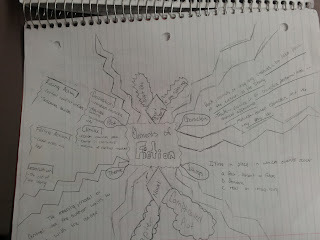 They did the chain of events on the left over their story, and I gave them a nonfiction article for them to highlight for homework. This was a comparre and contrast lesson where they compared the short story "The Necklace" with the Grimm version of "Cinderella". My Freshmen loved it! 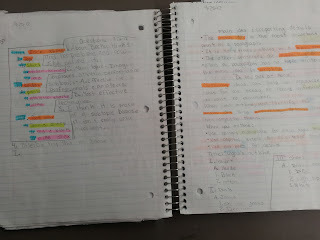 This a review assignment. 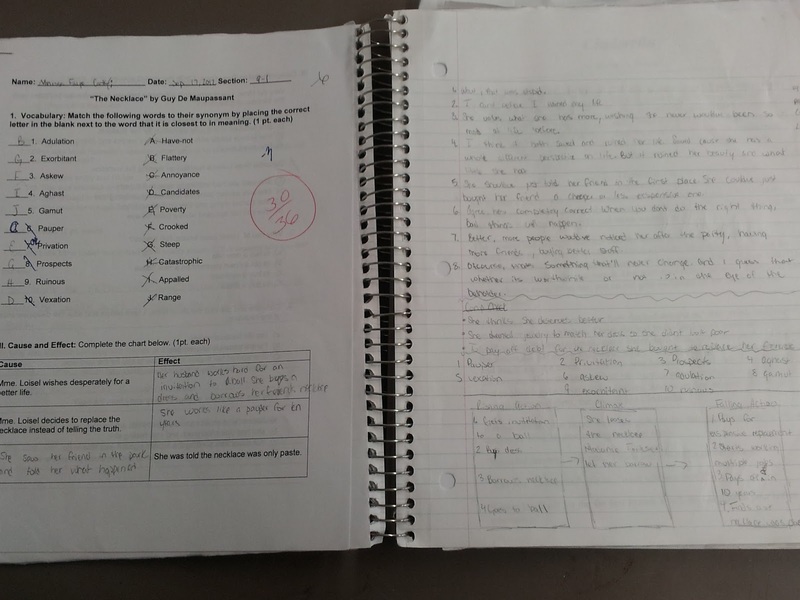 I usually have them put these on the right and the test it covers on the left. 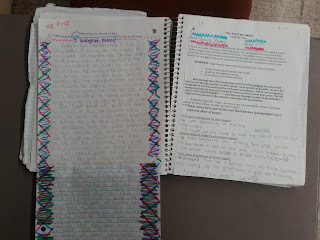 Corrections are under the test. 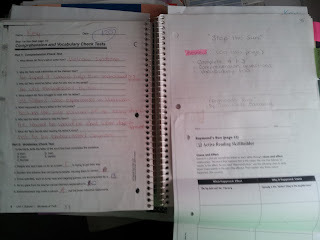 Study guide on the right and test on the left. 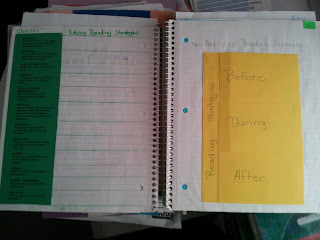 Lesson over using reading strategies. 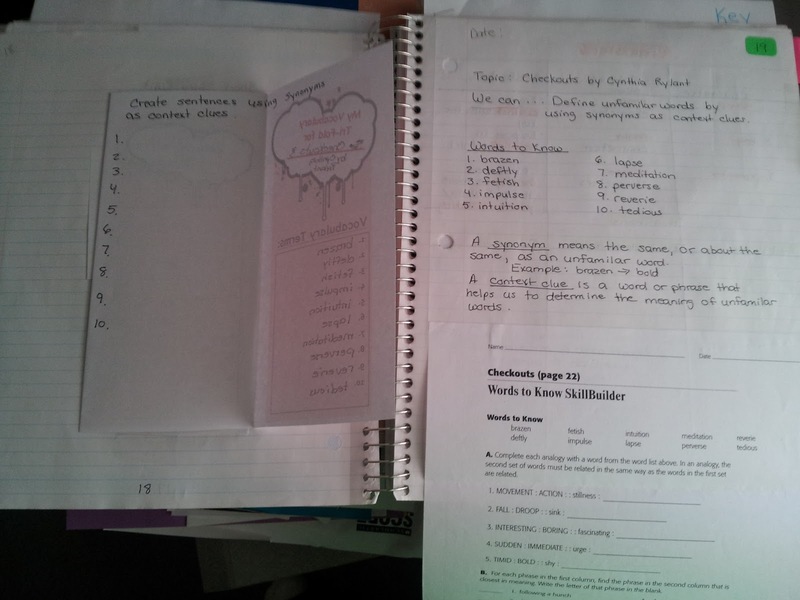 Left side I gave them the questions to answer on strips and they wrote their answers on the page. 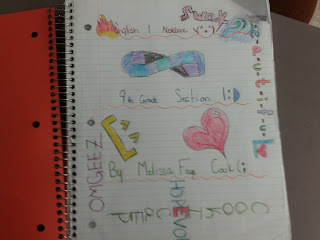 This was seventh grade. Vocabulary lesson. 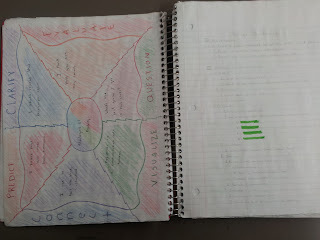 Word diagrams hav the word in the circle, synonym on the first line, definition on the second line, and a complete sentence on the third. 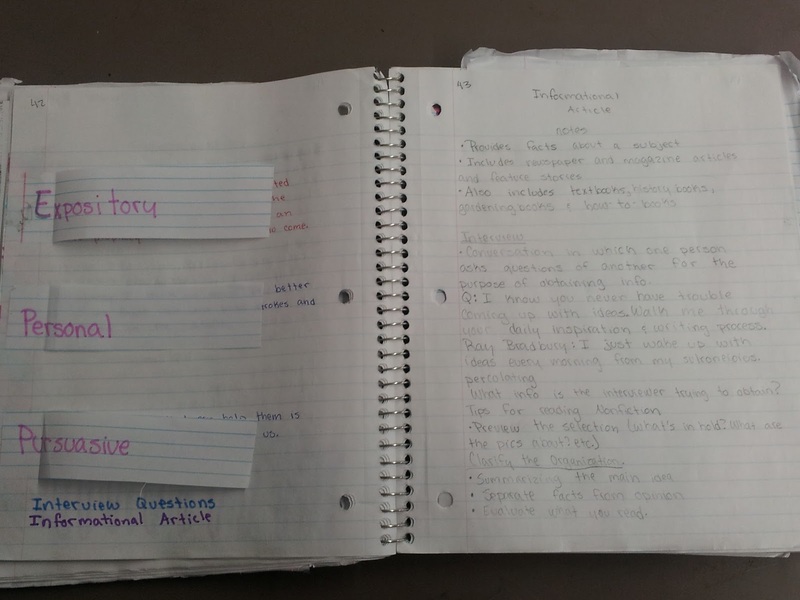 Here is a great link to TCI's PowerPoint over ISN"s. This is over social studies notebooks but I have gotten many great ideas for my language arts notebooks from here. The full screen link for their book is here. 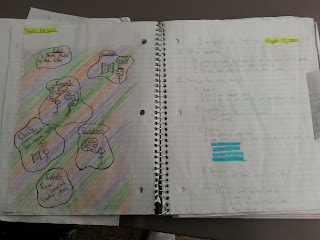 Here are some pics from my students ISN's. 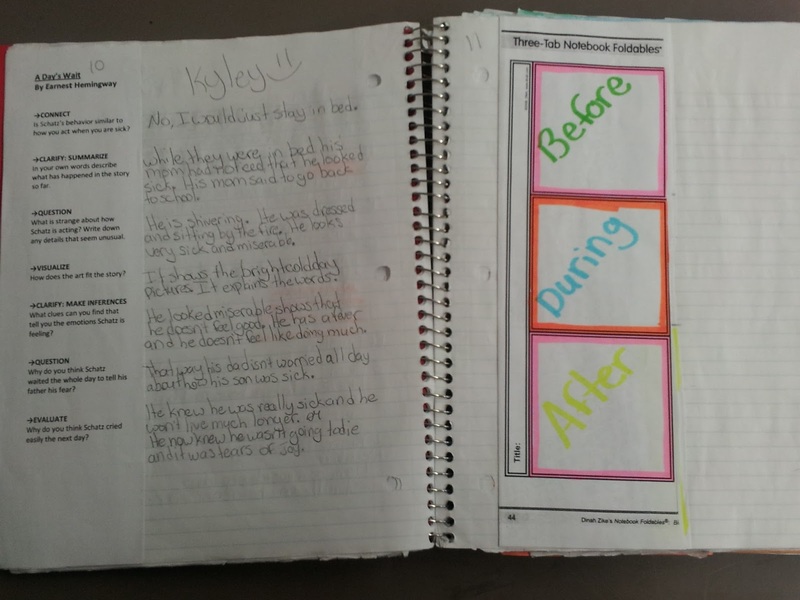 Active reading strategies for seventh grade. 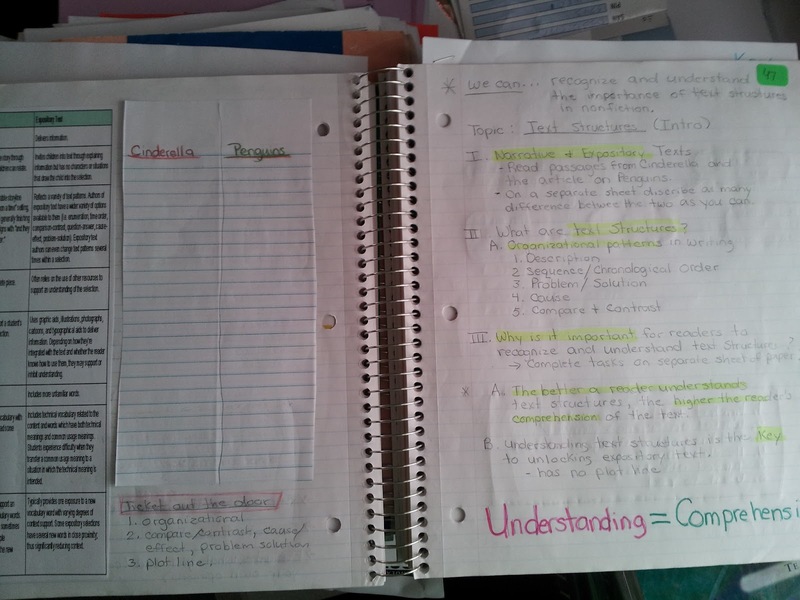 Right a foldable the completed in pairs using their textbook. 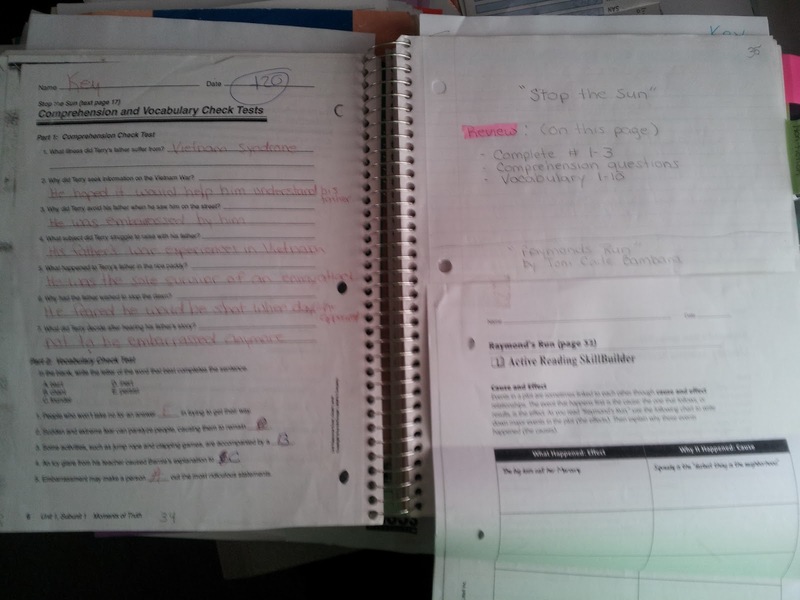 On the left they used the strategies to read a story and answer questions I printed on strips of paper. 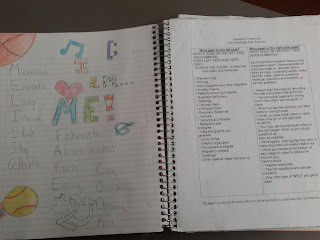 All about me pages. 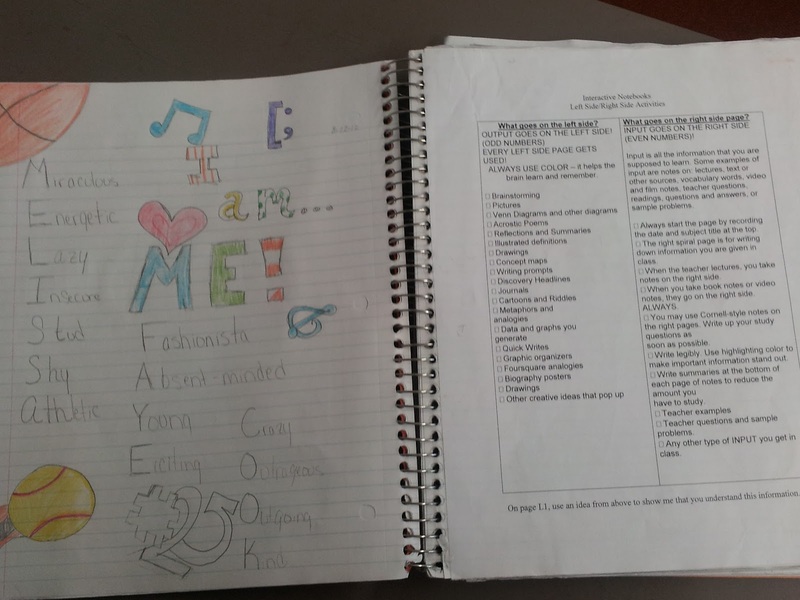 Students had to use strategies from the handout on the right to create a page about themselves. 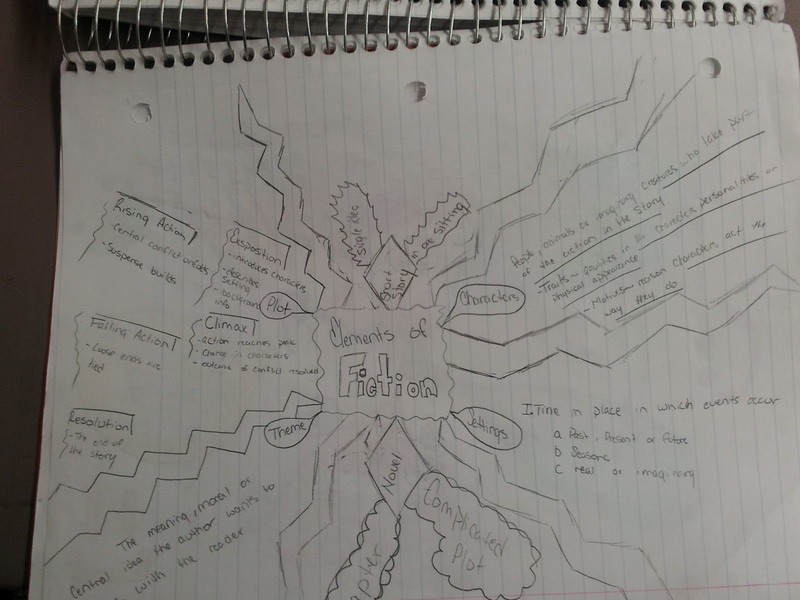 This was an introduction activity. After reading the Tell Tale Heart we did a small group activity to see if the narrator should be allowed to plead insanity. 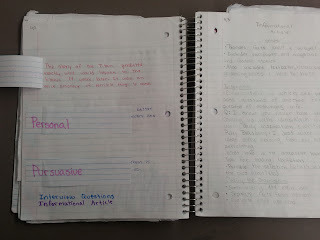 Students then wrote a 5 paragraph essay to the jury explaining their position. 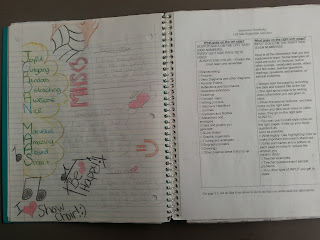 This was an 8th grade activity and they loved it! 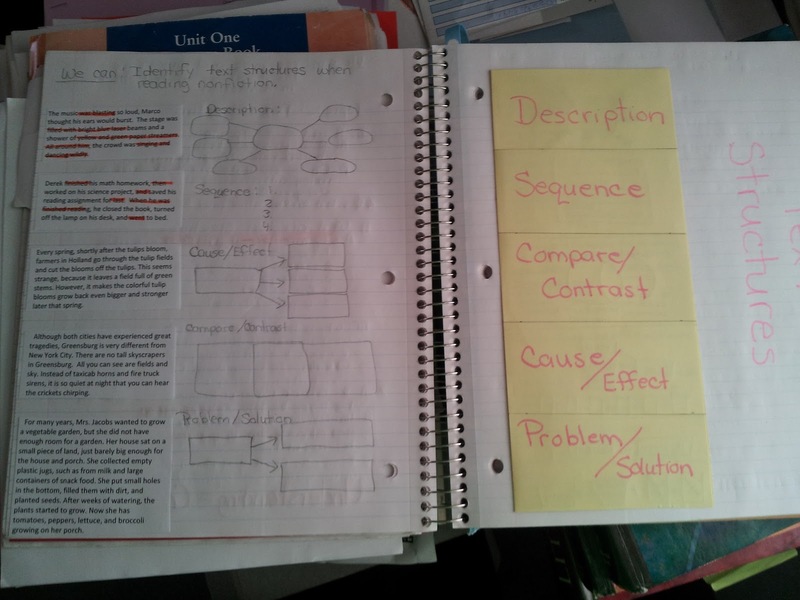 Introduction to text structures. 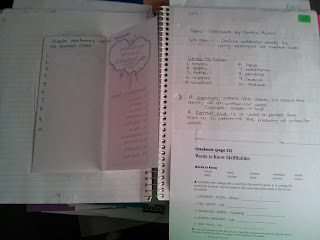 We read two articles and tried to determine the genre, what structures were used, and the author's purpose for writing the articles. 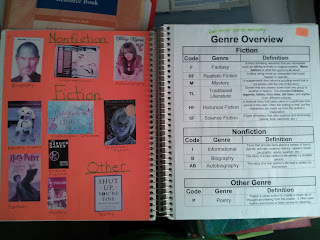 Lesson on the types of nonfiction. Activity on biography and autobiography. 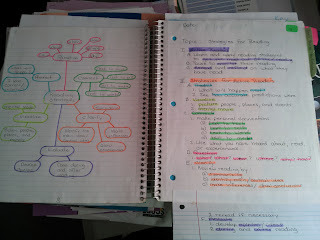 Outlining activity. 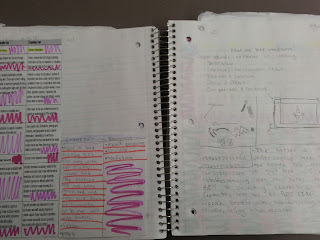 students took notes and outlined a partners outfit on the right. On the left they read a nonfiction article and outlined main idea and supporting details. 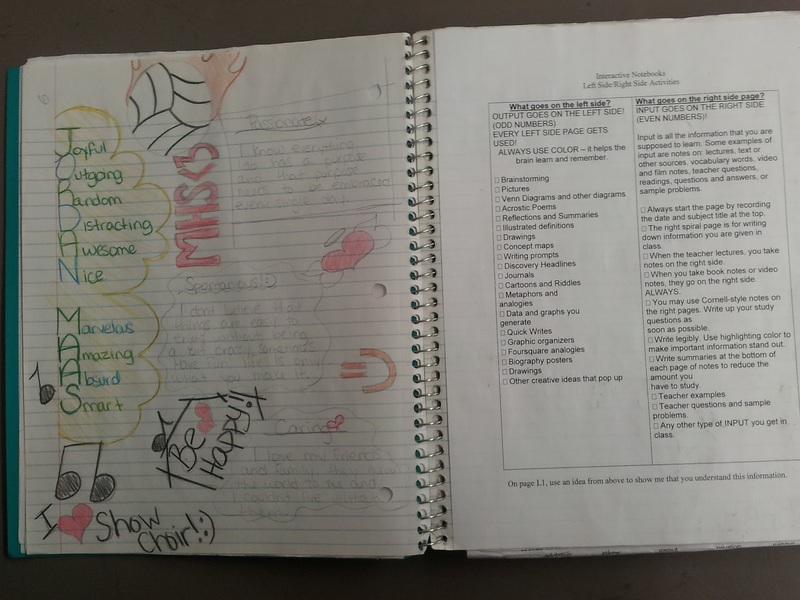 Student pages created on active reading strategies. Sample journal page. 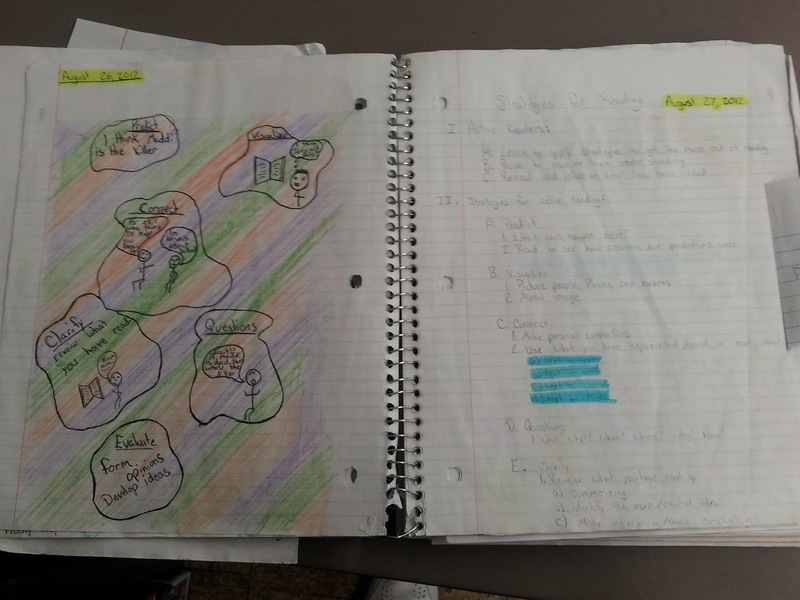 link to these pages can be found on the Interactive Notebook page. 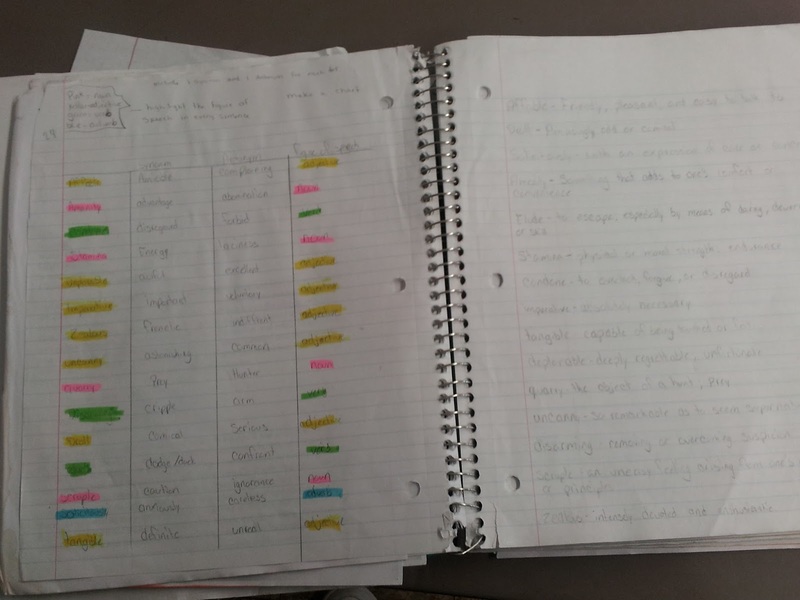 Ninth grade vocabulary activity: Students defined a given list of words then highlighted the word according to the part of speech that the word was used as in our story. 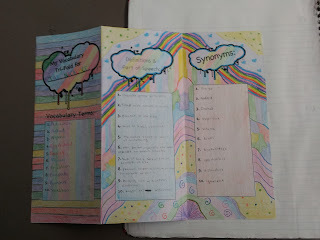 They used that information to find synonyms and antonyms for the words using an online dictionary. Review and test. 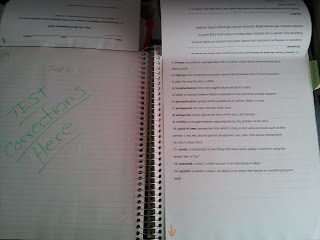 Test corrections go on the sheet under the test itself. Hi! This page is awesome! I looked all over your Pinterest page and I couldn't find the journal pages you have linked above. 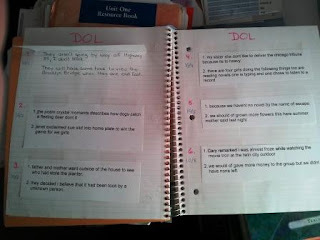 They are so cool and I'd love to use them with my Creative Writing class next year. Is the February link broken? I couldn't get it to click. I added a link and re uploaded to my google drive. You may have to follow me in order to have access. I checked and the link for all journal pages seems to be working. Thanks for the compliment! 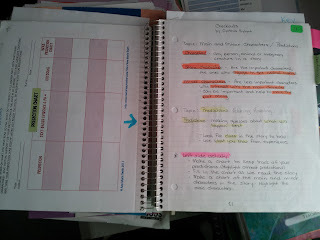 Question: Hiw do you organize the 5 subjects in the notebook? Hi Lisa. 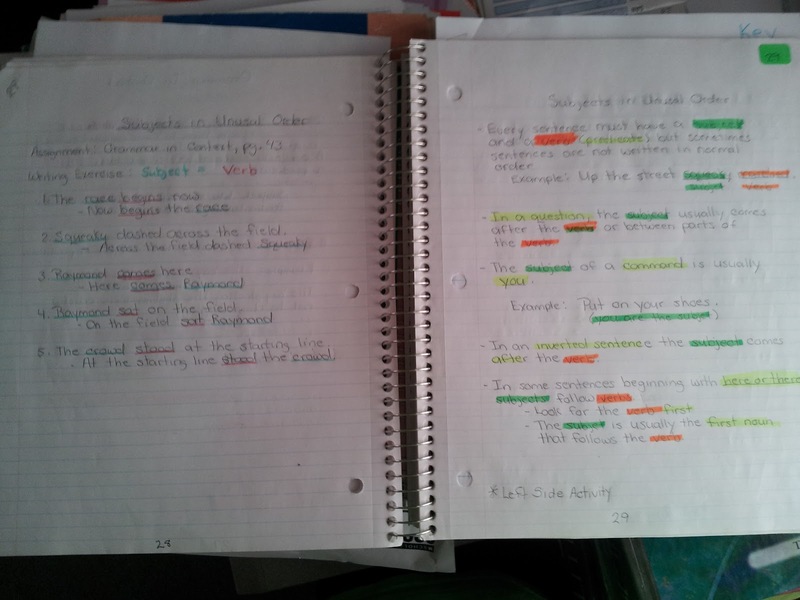 Last year I used the 5 subject notebook and the pages were numbered consecutively 1st to last. 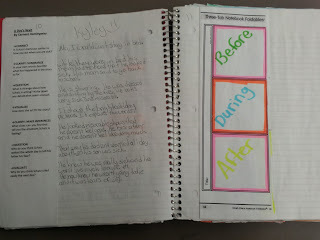 I had students create a divider page at the beginning of each new unit. 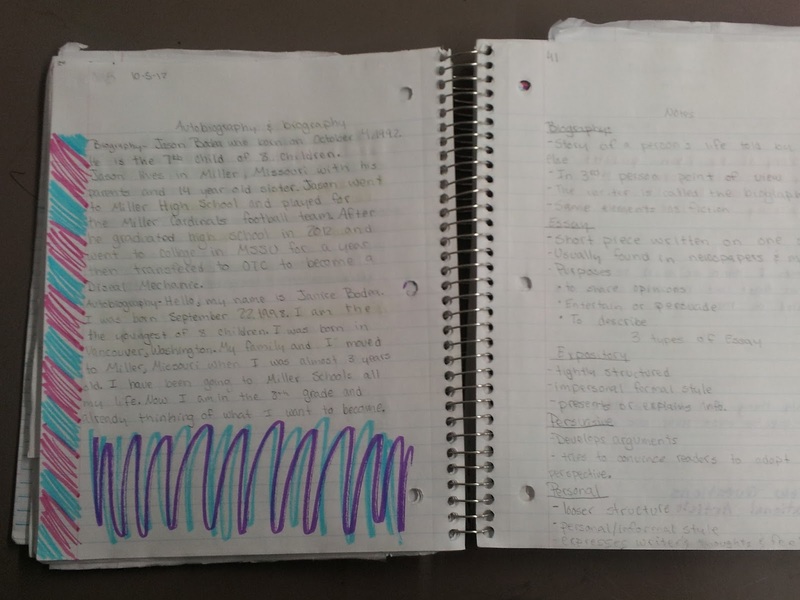 The last section of the notebook I used as their journal. 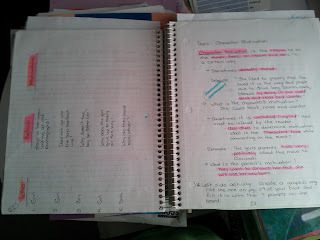 We actually had to tear out some of the divider pages to make room in the notebook. 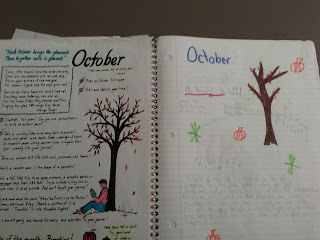 Last year was my first year implementing the notebooks. 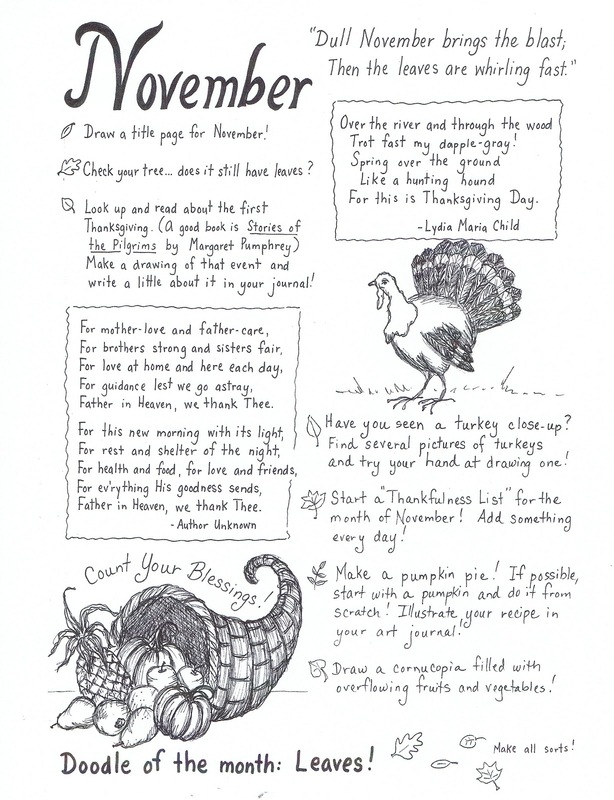 The kids really seemed to like them but the page numbering and TOC was a headache! 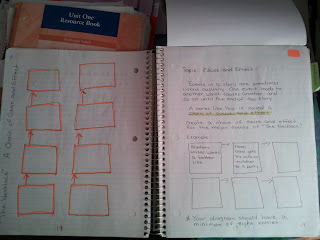 I am still going to number the pages but think I will also number any handouts prior to copying them. That way if a student is off in the numbering, we can all get back on the same page and move on. 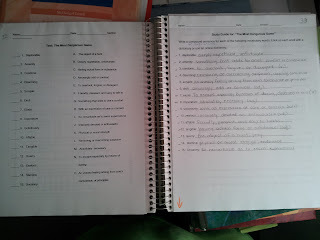 I was going to divide the notebook into sections for reading, writing, vocabulary,etc.. but again this messes with the numbering and the Table of Contents. Plus it is all integrated when it is taught so why chop it up for the notebook? I am going with a three subject notebook this year because we had extra pages at the end of last year. 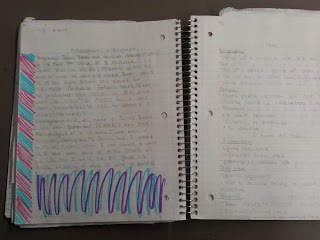 I am also highly recommending a college ruled Mead or similar brand that has the larger pages! 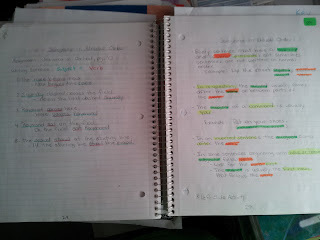 Language arts is such a beast of a subject I can see why they started in science and social studies. However, they can work well in language arts. 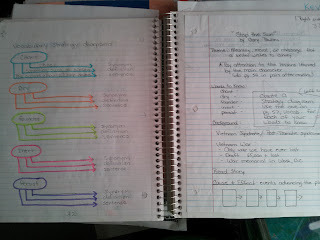 Organization of the book was the most difficult thing for me when I was thinking about starting this journey. 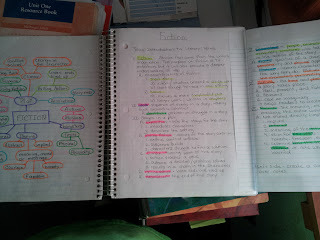 I found that some of my best solutions actually came from my kids! My advice is to just go with it, and learn what works for you and your kids. 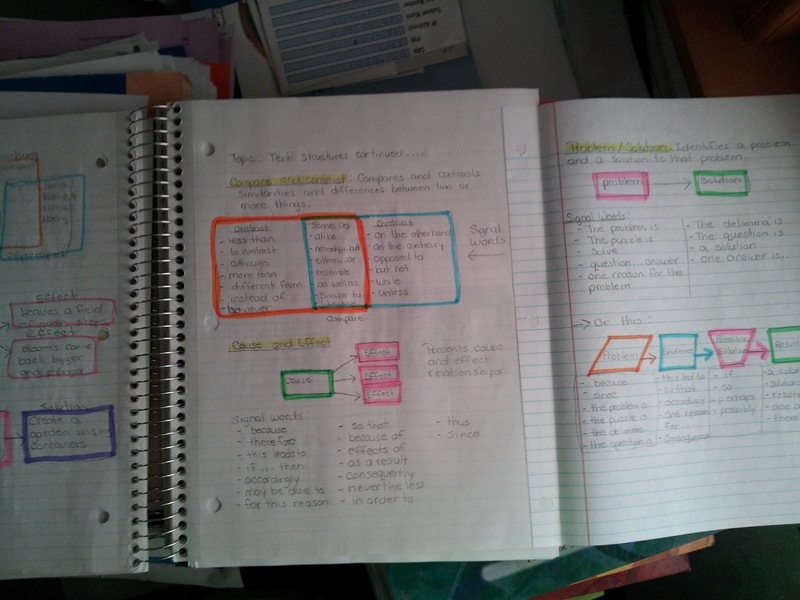 These look like the notebooks I used while teaching U.S. history. I used the History Alive! 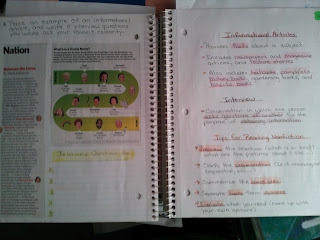 curriculum by TCI. I think there is a Language Arts curriculum too. This is a great idea. 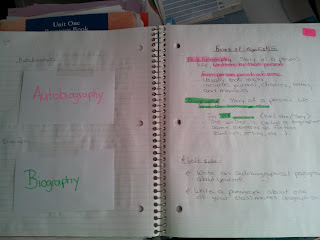 I want to start the interactive notebook this year & this is a big help. 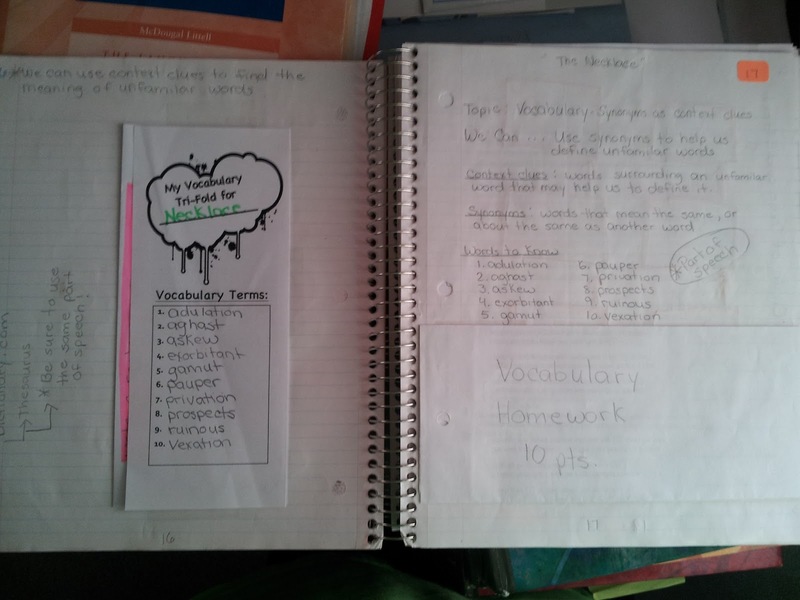 Do the kids complete homework in the interactive notebook as well? Thanks so much for the great pics and explanations. Thanks for the kind words. They can do it in the notebook and I can do a spot check, or I collect it and they will glue the homework page in when they get it back. A lot of times the left side activity will be their homework. 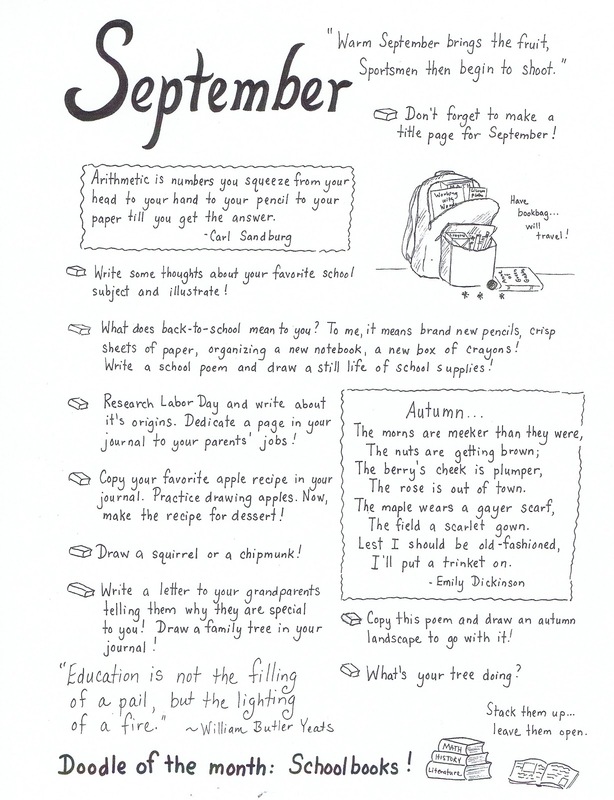 Check back throughout the year because I got new textbooks and will be doing a lot of new activities! Thanks again!!! I am your newest follower. 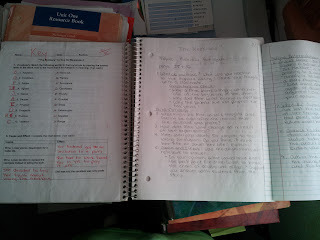 The past four years I taught a 7th grade combined reading and writing class. This year I am in a new school and will be teaching 7th reading. I figured there will be so many new things going on anyway, why not change to a interactive notebook? It's something I've been wanting to do, but hesitant to implement it due to the big change. I appreciate your thoughts and photos of the process. It all has motivated me to jump in this year! Seventh grade is a fun grade to teach. 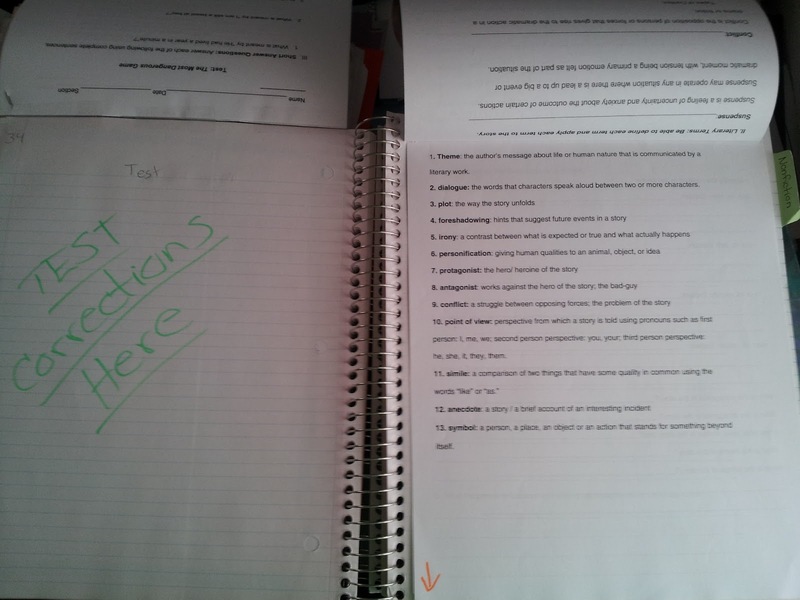 They can still be so enthusiastic about some assignments. They also do pretty good with the notebooks. 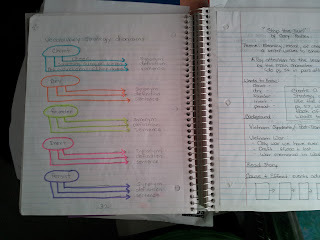 However,I am pretty specific on what I want them to do on the left side of the page. They are the reason I made the PowerPoint of activities found on my Home page! 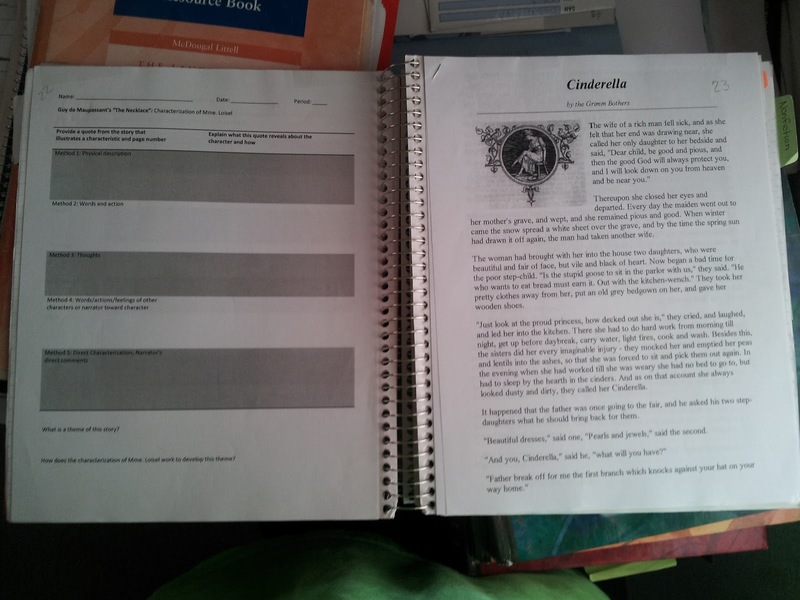 Also make a table of contents to project because page numbering is the most confusing for them. They tend to use the back sides of pages if they run out of room instead of sticking to the double page spread and creating a flip-out page. I am going to write a page number on copies to see if that will help. 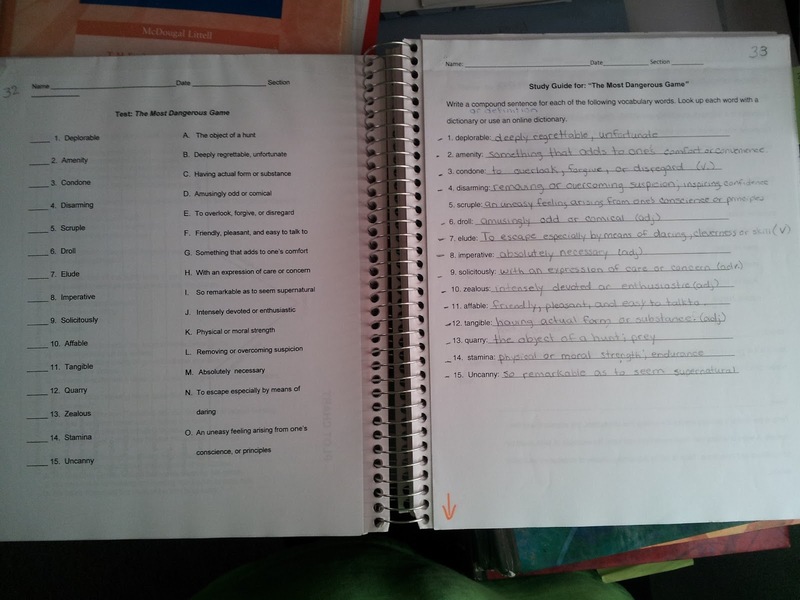 Our history teacher doesn't use page numbering and just lets them go on to the next page. 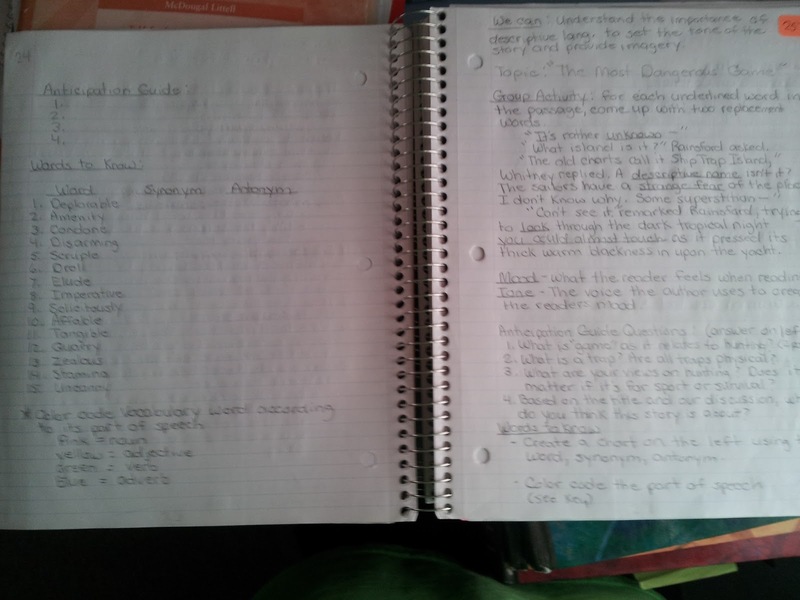 To me that takes away from the "interactiveness" of the notebook. 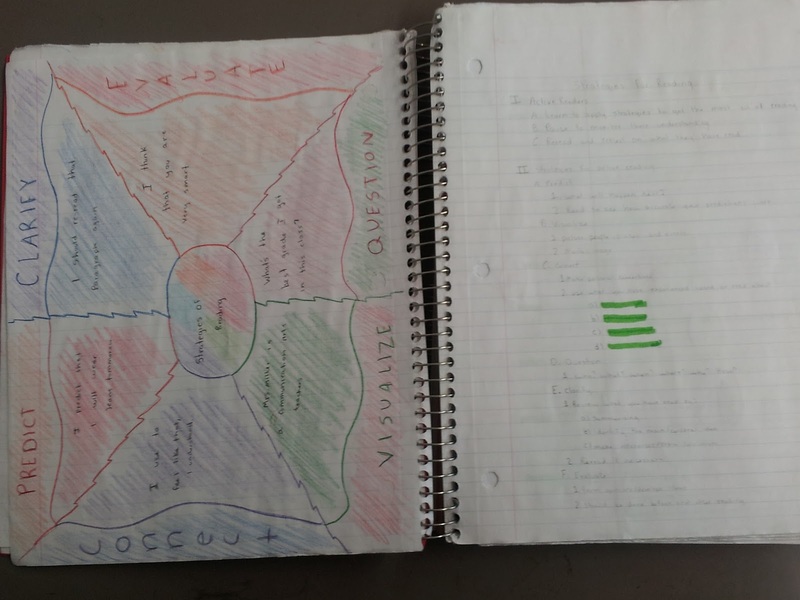 I think the most important thing to remember is to make the notebook work for you, not you working to create the notebook. It needs to be a tool not a chore. Thanks for following me! 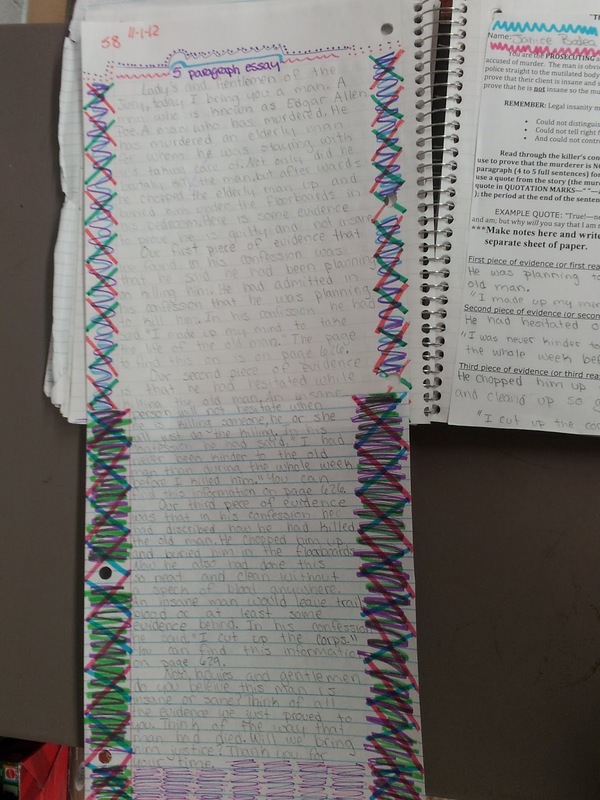 Teachers like you are the reason I write this blog. Good Luck!!! 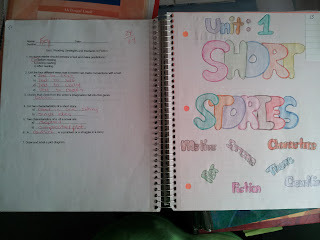 I've been teaching ELA grade 8 for 22 years. 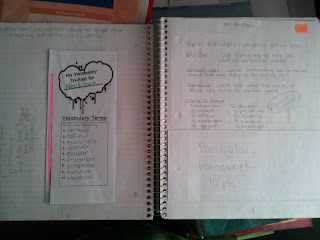 Last year was my first year teaching grade 7. 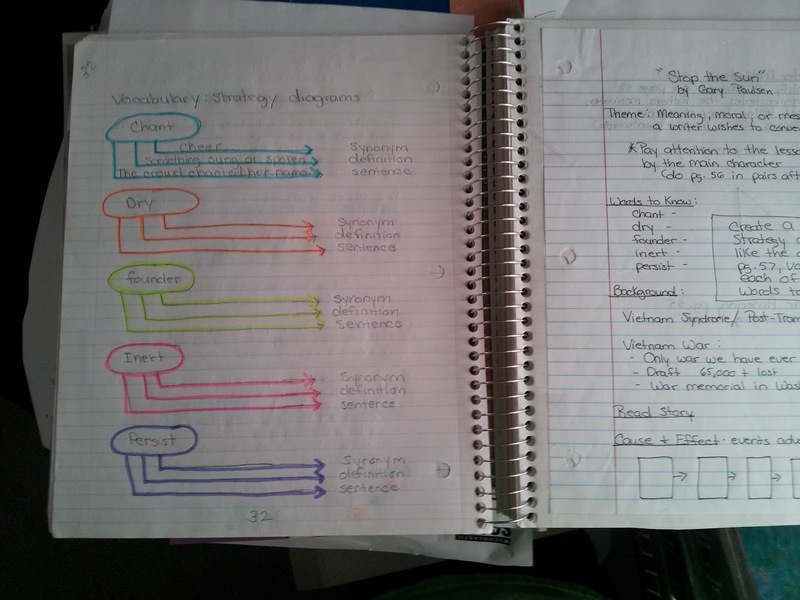 Suddenly, everyone is doing interactive notebooks and I am overwhelmed ( which is why I'm at your website). After my first day with students (yesterday) and our back to school evening with parents, I thought, okay, I'm doing an interactive binder, no big deal. WRONG. I don't even know where to begin. I mean this gal is close to retirement and with 150 students, how am I going to do this and still have a life? So, thank you for your willingness to share your brilliance. Any words of wisdom would be appreciated. 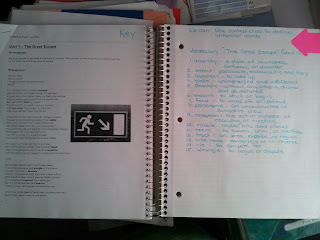 I wanted to know where I can find the left side/right side handout that is pictured above. 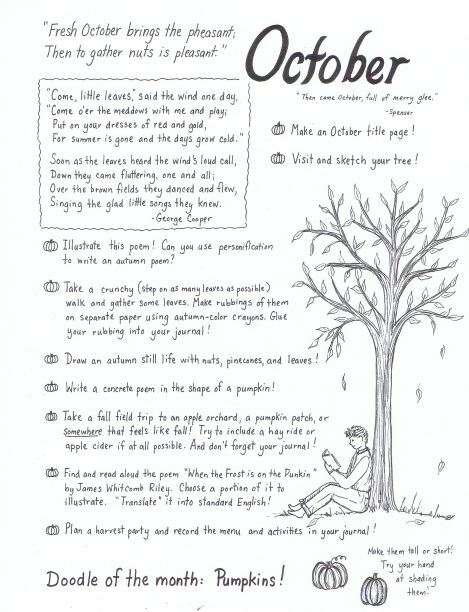 I would love to distribute this handout to my students. Thanks for the blog! You have so many great ideas! I love that you give them such freedom with their wriitng. I tried to open the link for February, but the document wasn't there. The link took me to the page, but February was missing. Would you mind looking at it to see if I missed something? 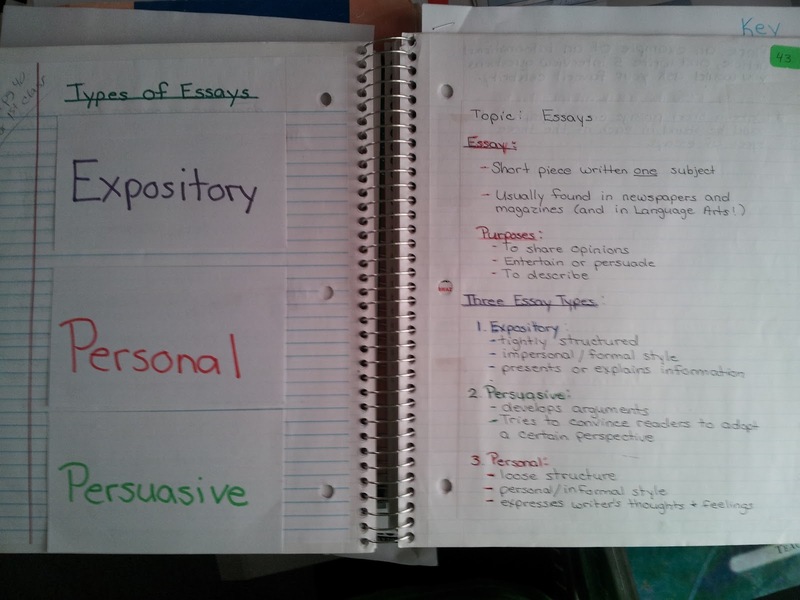 I'd really like to start my students on this ASAP:) Thanks for sharing all of your hard work! 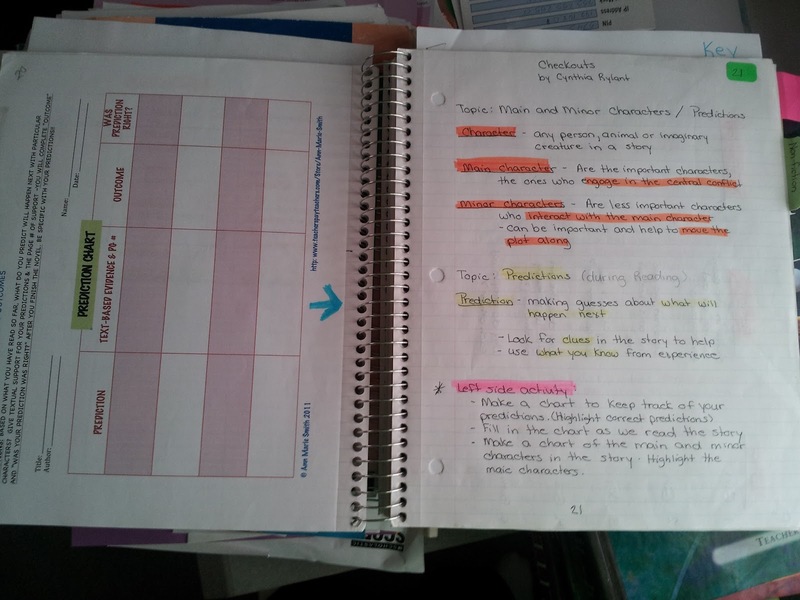 I am going to TRY Interactive Notebooks this year. I have read so much the last few days about them. I really like the way yours look so I am following you and hopefully it will happen. I fear the time spent gluing, cutting, and coloring. Do you do it everyday? Thanks for all the wonderful examples! 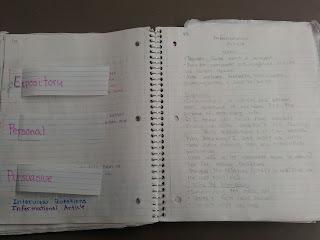 I am so glad I stopped searching for "Interactive Student Notebooks" and just went with "Interactive Notebooks"! 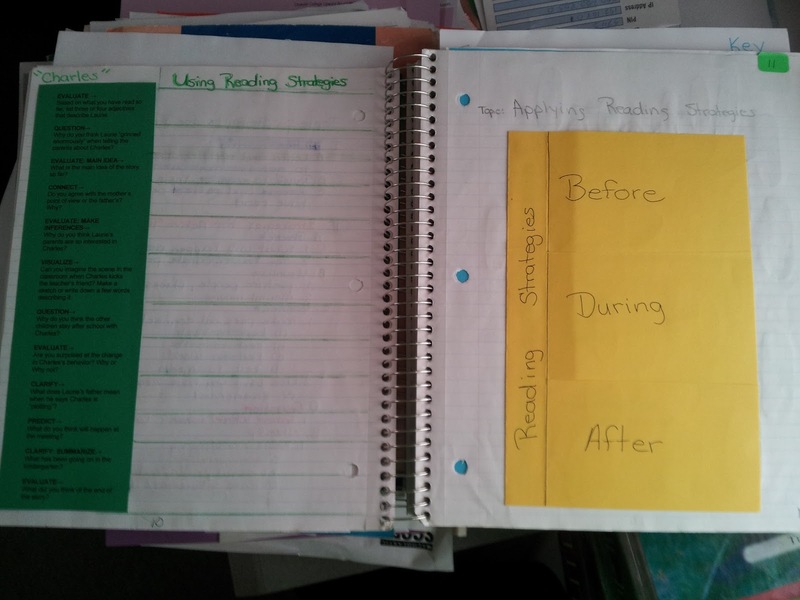 My goal is to incorporate this strategy with my seventh graders, but I was beginning to think I was going to have to do it entirely on my own. Thank you in advance for all the help your work will be to me as I set out on an Interactive Notebook adventure this year! I am truly grateful! 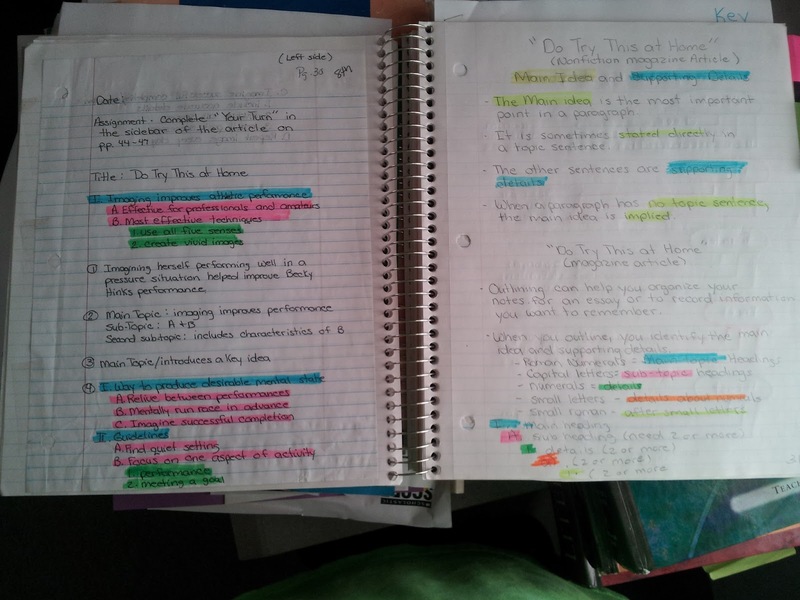 I am at the summer research stage of ISN's and am very excited to get organized for the fall start….thank you for such a great blog post…especially all the pictures of actual book pages…this is a great help! Hi. 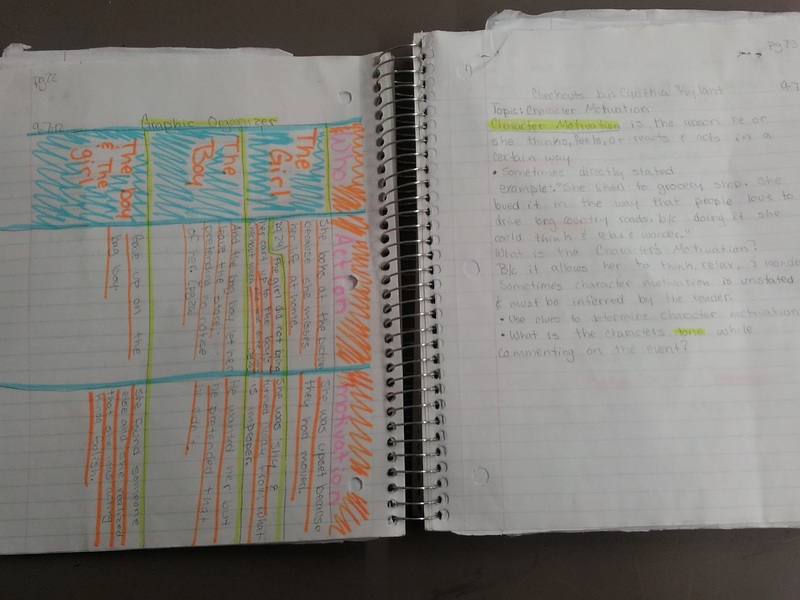 I was wondering if you use a rubric to grade your units and if so how you set it up? Your notebooks are so content-rich. Thank you for sharing your expertise! 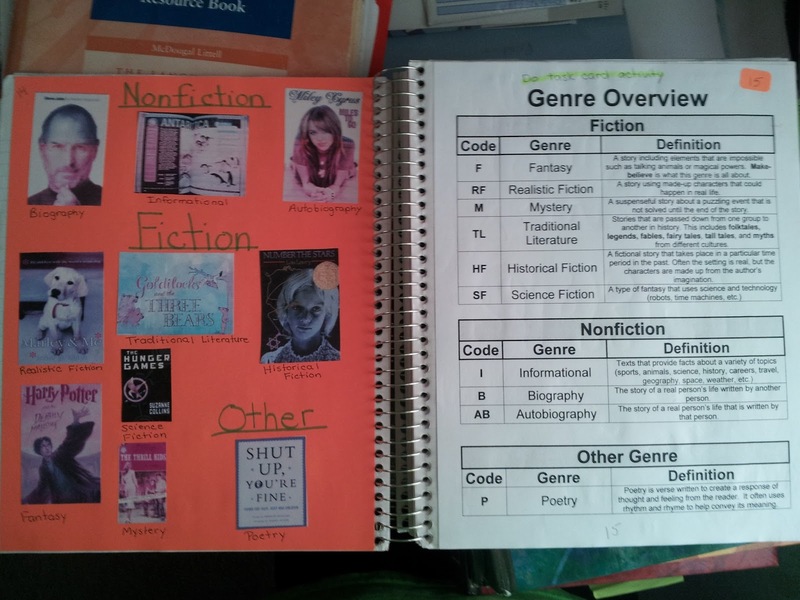 What is the name of the Genre overview group activity and Powerpoint that you purchased from The Middle School Mouth on TPT? I can't seem to find it. Thanks! Hello! 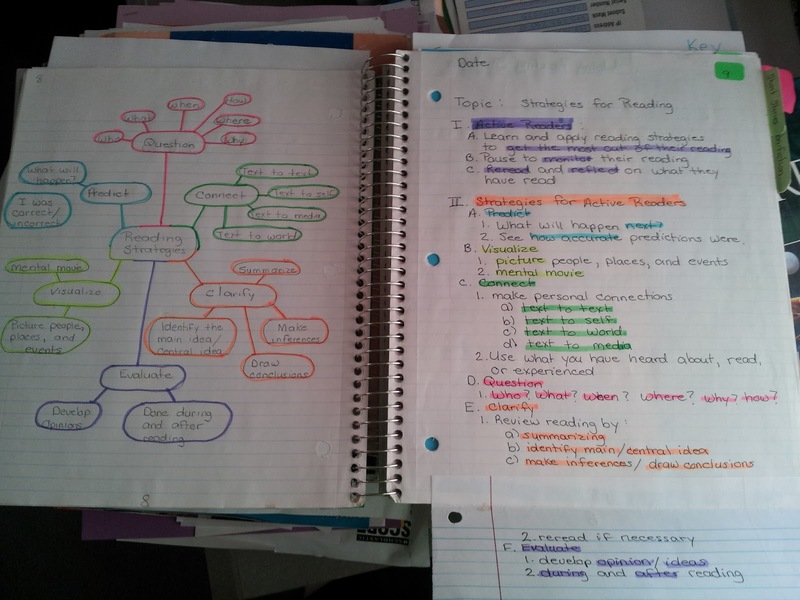 Wondering if you have the Interactive Notebook page handout that lists the left page/right page activities. 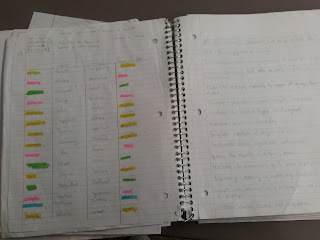 I saw it glued into a student page (above). Thanks! Love, love, love this page. 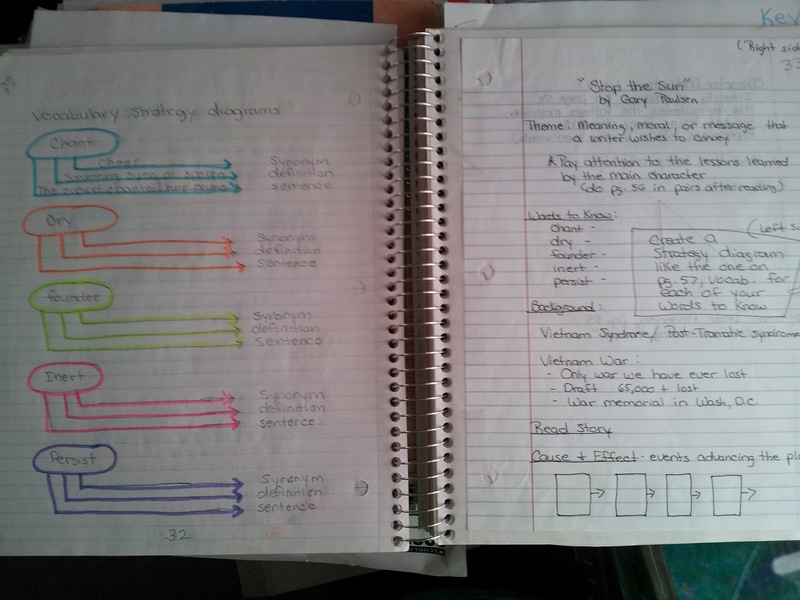 Let me tell you why...I kind of fell into interactive notebooks with my language arts writing journals about four years ago. 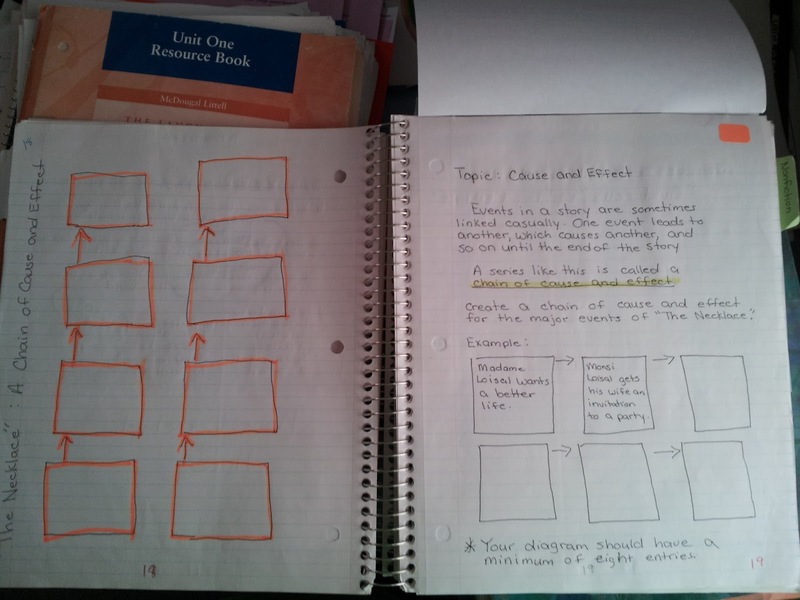 It was just easier sometimes to give students a graphic organizer to glue into their notebooks then have them ask for rulers and not draw it the way they needed to in order to get the information they needed (boxes too small, too big, writing too tiny, etc.). At that point I only had them glue in things like mentor texts or notes or things like that so they would have more time to actually read, think and write about their learning. But alas, there was NO COLOR or creativity. 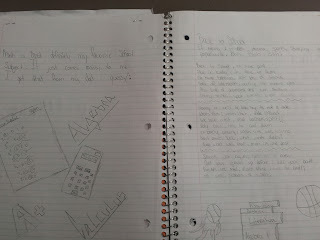 My ELA IAN (Interactive Notebook) was boring to say the least. 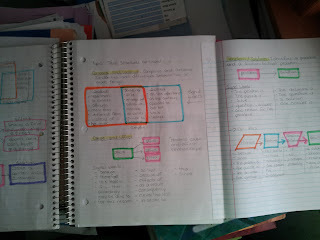 So, they I started doing foldables on colored paper. 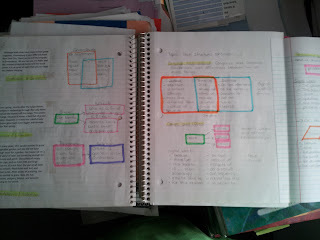 It was okay, but I didn't always have access to colored paper. 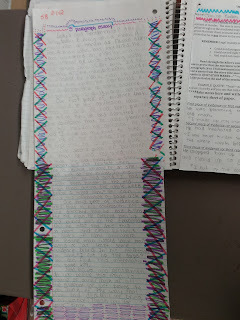 Then, I saw what other teachers are doing on Pinterest with all these fancy foldables - I tried those, and the students took too much time coloring and gluing, etc. I like yours better because there is a balance between what I have seen on Pinterest and on TeachersPayTeachers.com and what I had been doing. 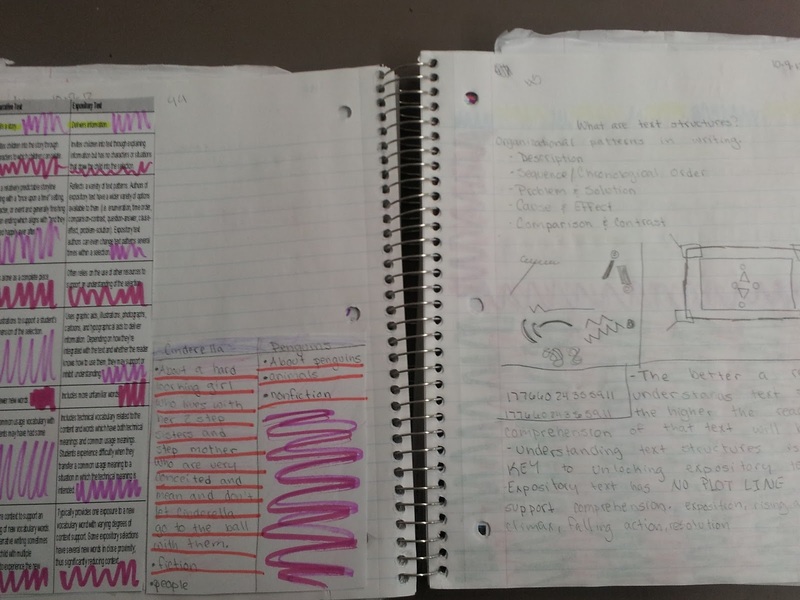 I do have a question for you - my students notebooks are usually really beat up by the end of the semester, whether they are using spiral or composition books. 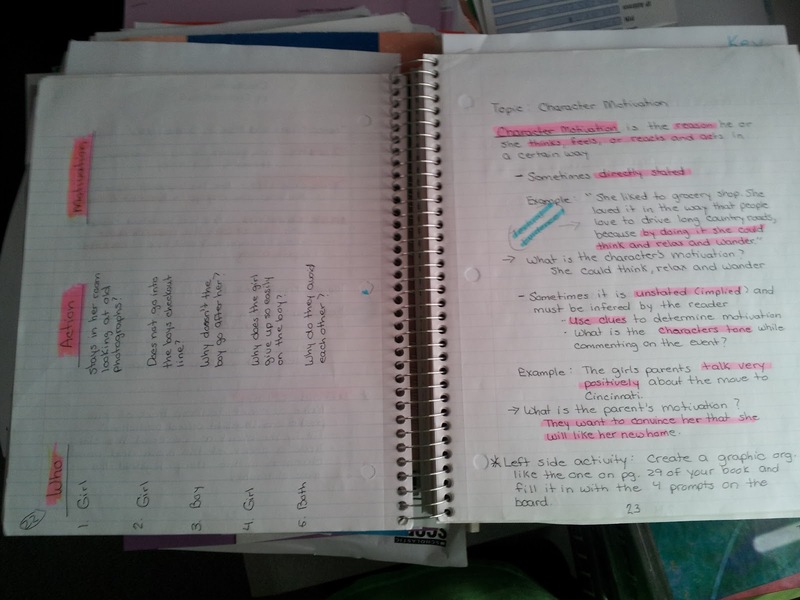 Do you ever find the spiral notebooks falling apart or pages falling out? Thanks for any suggestions! These are fantastic. Can you fix the February page link? As of 6/16/15 it is not working. 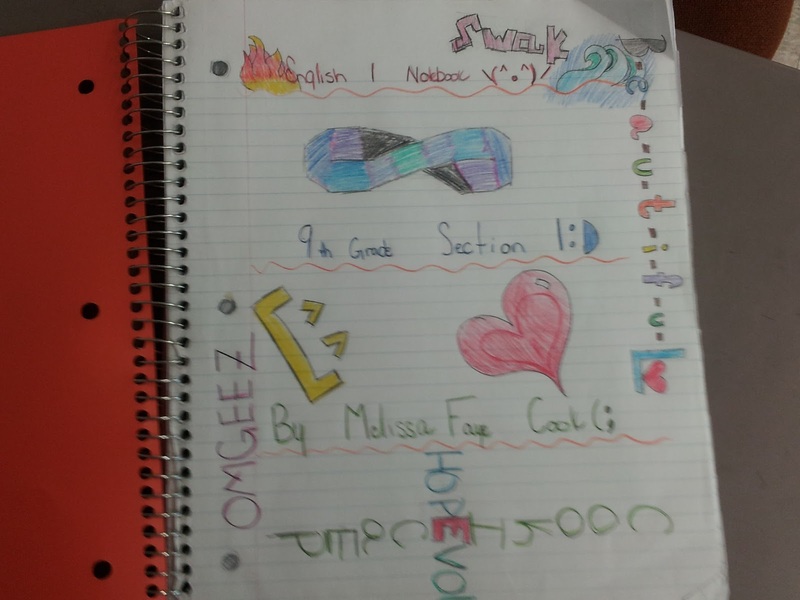 The notebook looks great! I love so many of the activities that you have come up with. 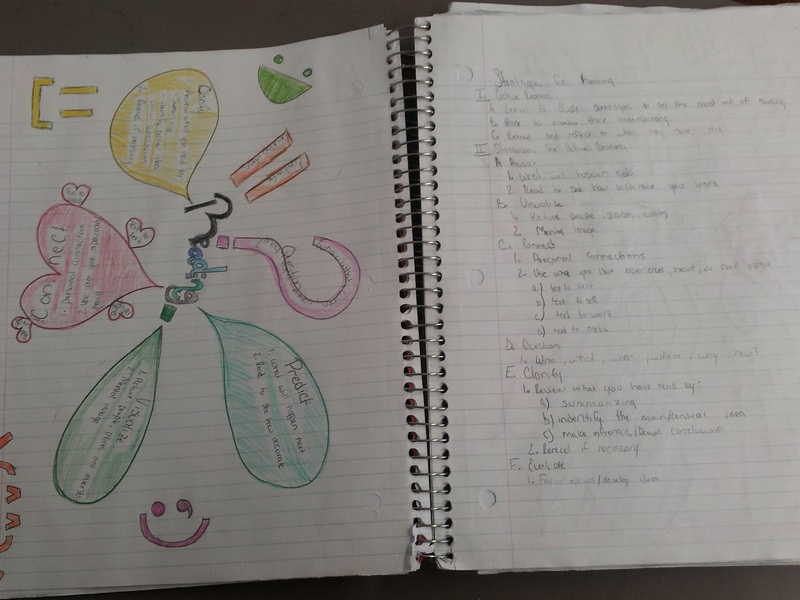 Do you have any recommendations for resource materials for interactive notebooks, hands-on reading, grammar, and writing activities? 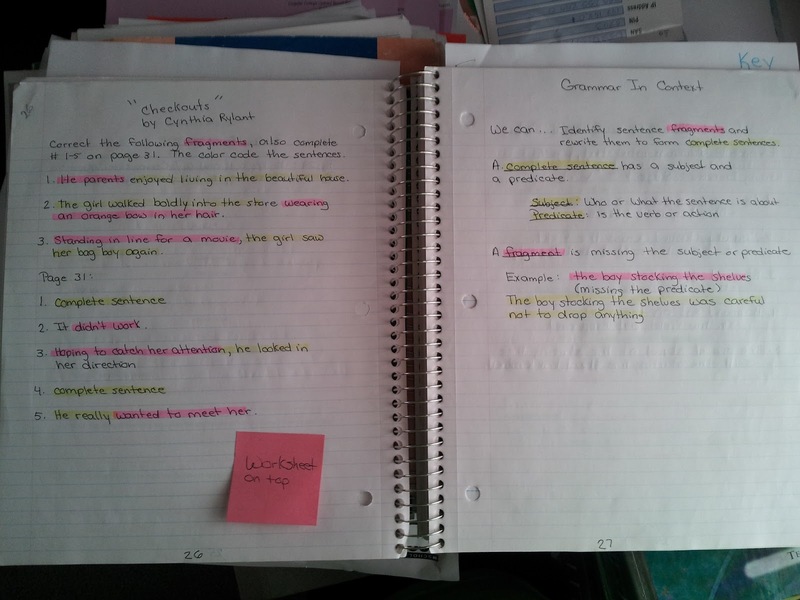 My question is how do you grade the assignments that are in the notebooks? Do you collect once a week? This is so excellent! THANK YOU for sharing, it is so helpful! 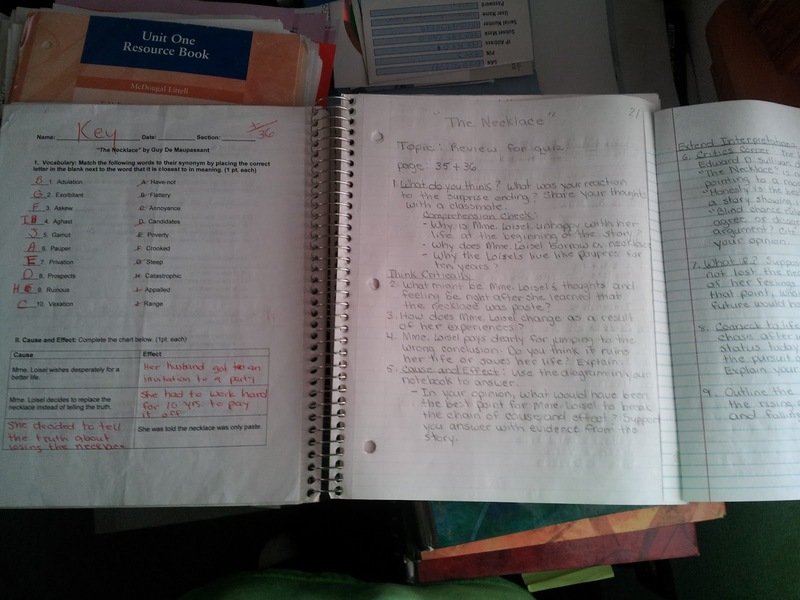 When you collect all the notebooks, how do you know if a student is missing an assignment or was absent? I would really like to know, thanks! 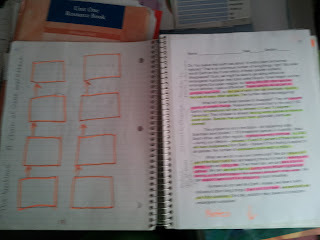 Do you have the file for the "what goes on the left side/right side" that I saw glued into the books?